When it comes to motivating employees to peak performance, some managers make a crucial error. They listen to those who confused manipulation and motivation. Because these managers are afraid to make a focused effort to motivate their employees, they miss out on some very good opportunities to change their workplace dynamic. People who cannot distinguish between positive motivation and negative manipulation probably have trouble understanding the definition of each word. They take any effort on the part of one person to influence another as an attempt to control that person, but this is simply not true. In fact, the definition of motivation is to “provide a reason for someone to act in a certain way.” Notice that nothing about this definition speaks to force or coercion. Motivation is simply creating an option for another person so that he or she may choose to behave in a certain way. When you motivate someone, you are showing the person the benefits in choosing a certain course of action. Manipulation, on the other hand, is an effort to control someone else by limiting his or her options. There is no place in a modern workplace for manipulation. In fact, manipulation is something that should be avoided in any relationship, whether work or personal. Manipulation is unethical because it denies people the opportunity to choose their own course of action. Motivation, on the other hand, is a powerful tool you can use to make people aware of their own potential and reward them when they make good decisions. Unlike manipulation, motivation is appropriate to use for adults and in all of your relationships, both at work and in your personal life. 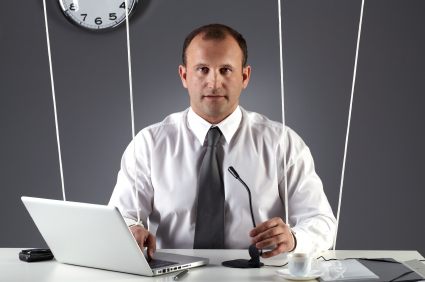 As a manager, you have a clear choice between manipulation and motivation. When you belittle your employees, threaten them or use other negative means to force them to behave in a certain way, you are engaging in manipulation. On the other hand, when you make a focused effort to encourage your employees, to praise them and offer them positive reinforcement or use problems as “teaching opportunities,” you are engaging in motivation. Employees appreciate motivation over manipulation because it allows them to have the option of choosing to behave in ways that benefit them. ← Do My Employees Hate Me? MyEmployees.com For 25 years we have been helping managers recognize the excellent performance of their front-line and service employees. Top 10% Manager How to become a Top 10% Manager.